Each year hundreds of thousands of different book titles are published. Some sell millions of copies. Many sell thousands or hundreds. Many sell just dozens—or even fewer—copies. Your book stinks. There are many ways for a book to stink. Your cover image conflicts with your title or genre. Your cover is an indiscernible blob when reduced to "thumbnail" size on websites. Your title is confusing or vague and your subtitle doesn't help. Your name conflicts with your genre. Pearl Zane Grey dropped the "Pearl" to write macho westerns. Joanne Rowling became "J. K." to attract teenage boys to her books. If your last name is Hitler or Stalin, get a nicer pen name for romance novels or books about flower arranging or etiquette. Your title has been used by other books. Maybe many other books. You are being confused with another author—or maybe someone with a bad reputation. If your last name is Madoff, use another name for books about investing. There are many other nonfiction books covering the same subject. You have too many competitors and probably should not have published the book. Does the world really need another barbecue cookbook or JFK biography? There are too many novels in the same genre. Does the world really need another book about post-apocalypse teenage lesbian cannibals? You didn’t work hard enough at promoting your book. Not enough potential purchasers know it exists. You’re too bashful to promote yourself. Your book is hard to find. It’s not available where people expect to buy it. Your market is too narrow—not enough people care about the subject. You may write an absolutely wonderful book about your absolutely wonderful mother, but your potential audience may be eight people—or two people. Your price is wrong. 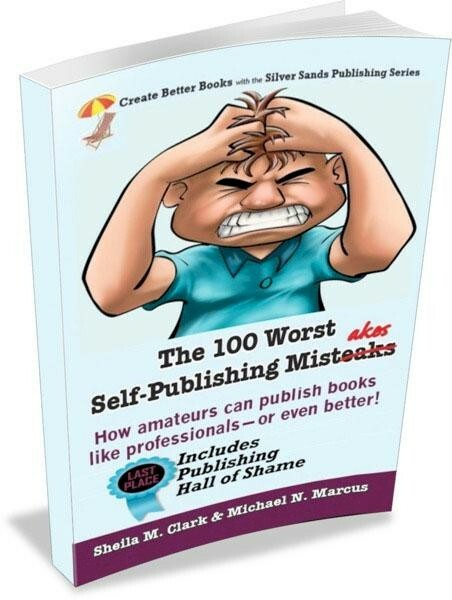 If it’s too low, there’s not enough money left for you, and the low price hurts your book’s credibility. If it’s too high, you may scare readers or lose sales to your competitors. Your book has received either too many bad reviews or no reviews at all. You tried to do too much yourself, and did not hire a professional editor and designer. Your timing is wrong. The book came out too soon or too late. You missed the peak of popularity. The fad either never became big enough or went out of fashion before the book was published. Sales of Jerome Corsi’s book questioning President Obama’s birthplace dropped to almost nothing because it was published after Obama released his birth certificate. Pick a hot topic, and one that may stay hot, or at least warm, for a few years. Your thesis has been disproved. Obama was NOT born in Kenya. 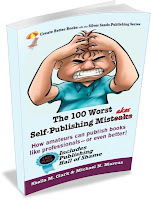 You used a self-publishing company and its services were overpriced or the company did not do all of the work you expected it to do or it did not produce a high-quality book or it did lousy or inadequate promotion. You spent too much money on original photography or illustrations, and did not have enough money left to promote the book. You don’t have a website where potential purchasers—and book reviewers—can find more information. You think that your work will end when you finish writing. Promoting may take more effort than writing. You don't know enough about your subject. You have nothing new to say. Your books stinks (worth repeating). How are we supposed to pronounce "the?"